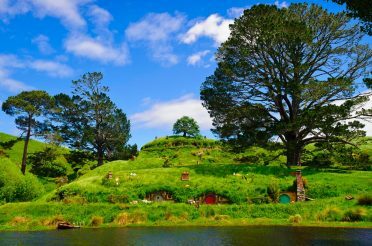 It’s not only the Bay of Islands, Rangitoto Island, Lake Taupo, and other famous North Island kayaking spots that provide an awesome experience. That's why we’ve put together a top 5 list of the best off the beaten track & hidden kayaking gems on New Zealand's North Island. 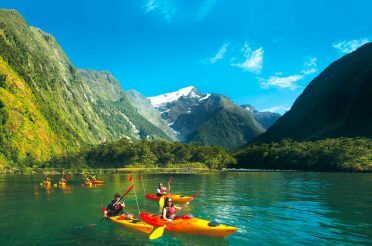 Kayaking in New Zealand is one of the best vacation activities for kids. 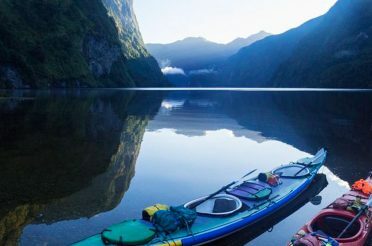 Solo travelers in New Zealand are also drawn to many amazing natural locations where a kayaking trip can be a great way to meet fellow travelers. The following hidden kayaking gems offer the same stunning scenery and serenity you’d expect from the well-known spots. 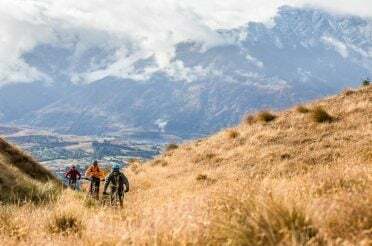 What’s more, they’re less crowded and they will uncover places in New Zealand’s North Island you may not otherwise have gone. 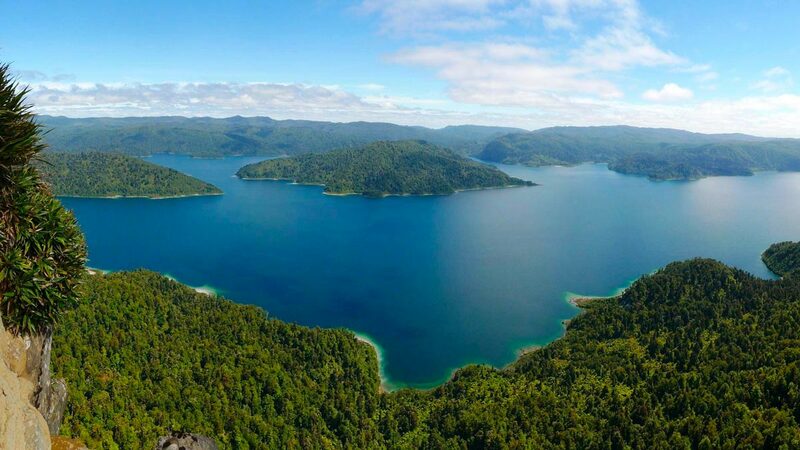 Created 2000 years ago by a massive landslide that essentially dammed the Waikaretaheke River, Lake Waikaremoana is an awe-inspiring reminder that nature can pull off feats humans can only dream of. Dreamy indeed it is, with deep blue mirror-like water wrapped around bumpy hills and peaks covered in thick native New Zealand forest. Te Urewera National Park is the North Island’s biggest area of protected native forest, and you can see almost all of New Zealand’s native bird species here. In Aniwaniwa, a quaint town just near the shore of the lake, you can find kayak hire, a visitor center, and a museum detailing the unique history of this area and the Tuhoe people who have lived here for centuries. 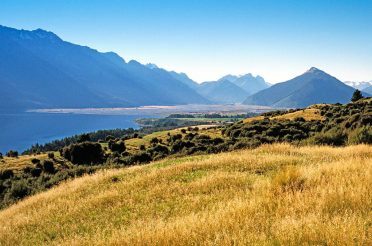 Camping grounds, B&Bs and homestays can be found around Lake Waikaremoana and in the nearby town of Wairoa. Only a 90-minute drive north of Auckland, Tāwharanui exists in a totally different world from the city. Fishing has not been allowed here since 1981, and New Zealand’s marine life thrives here like nowhere else. The huge greywacke rocks, dating from the Jurassic period and housing rare marine fossils, are a unique local feature. The easiest place to launch a kayak is at Anchor Bay. 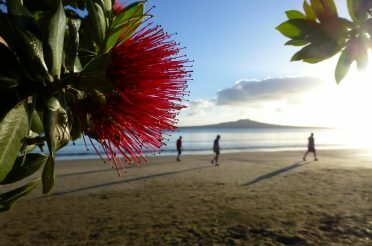 This white-sand beach, lined with beautiful native New Zealand pōhutukawa trees, is also a superb spot for swimming and sunbathing. 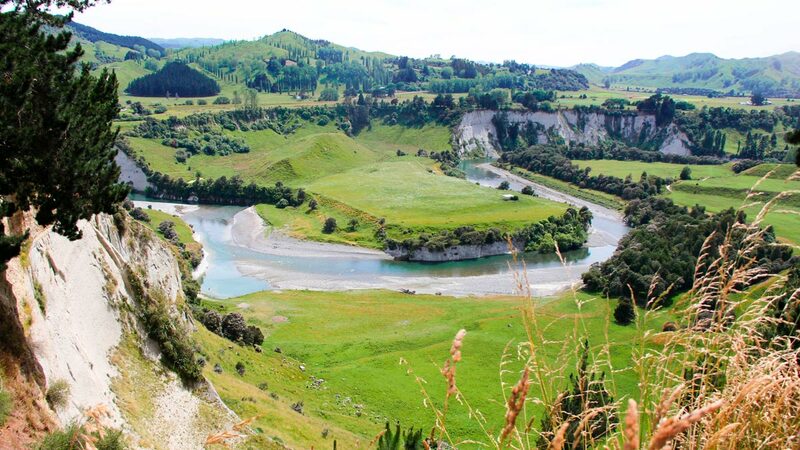 Nearby Matakana is a laid-back town known for its local farmers’ market, kitschy cinema, and boutique shops. 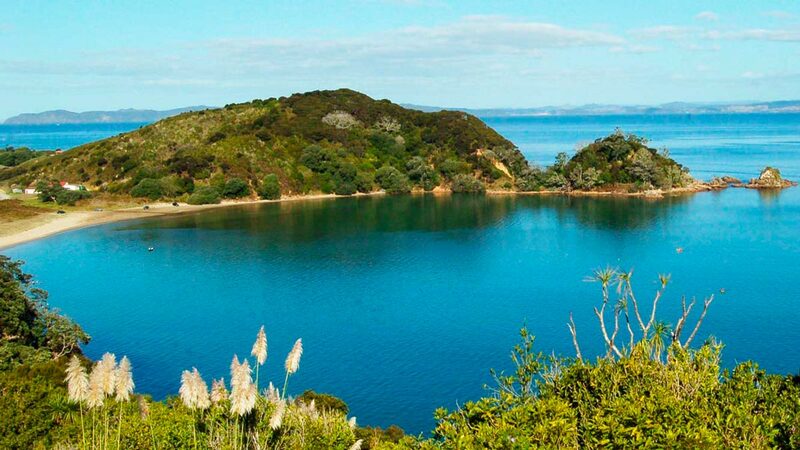 From near Anchor Bay you can connect to the North Coast Track for stunning views from the tip of the Tāwharanui Peninsula across the Hauraki Gulf. 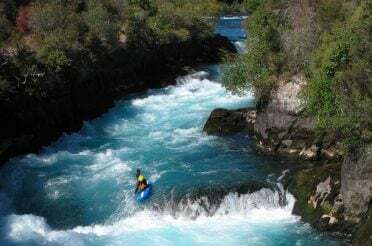 For a bit more white-knuckle stuff, try white-water rafting down the Rangitikei River River Valley Rafting in Taihape. Their half-day, grade-5 hidden rafting gem is regularly touted as one of the best in the world, taking in ten grade 4-5 rapids over its 12km course. For something a little easier-going, try a family-friendly scenic kayaking trip, a full day tour that focuses on the stunning gorge scenery rather than the rapids. You can also find multi-day rafting and kayaking trips, lasting from overnight to 6 days, staying at campsites or premium accommodation along the way. 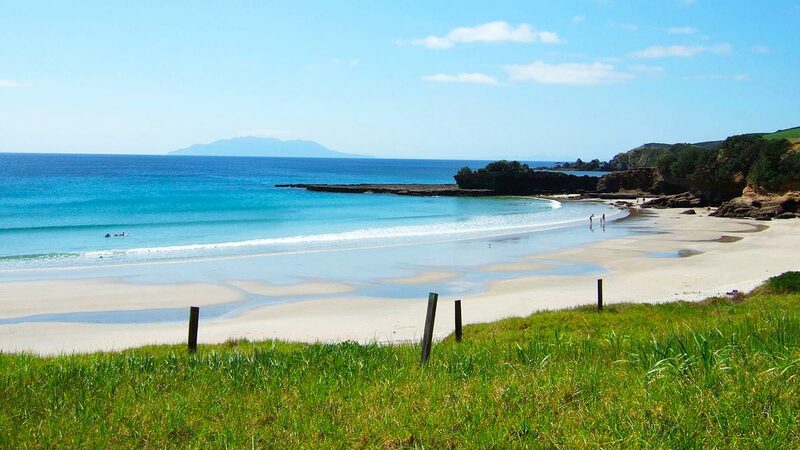 The quickest way to describe Doubtless Bay is this: the Bay of Islands, without the crowds. There’s a lot more to it than that, though. Only an hour’s drive up State Highway 10 from Paihia, Doubtless Bay shares similar scenery and a semi-tropical climate with the Bay of Islands. It goes without saying then that this long, golden sand beach, with its turquoise waters and colourful pōhutukawa trees, is a picture-perfect hidden kayaking gem. That’s not all it has going for it, though. This is an area of rich history. Ancient Māori explorer Kupe is said to have made his first landfall at Doubtless Bay when he discovered New Zealand. Captain Cook anchored here during his first Pacific voyage, and the first ever Christian service in New Zealand was delivered at Doubtless Bay by the chaplain of Jean-François-Marie de Surville’s ship in 1769. See some quaint historical buildings and an excellent local museum at Mangonui – where you can also book kayaks and tours with SupExplore, run by competitive championship paddlers. Still, there’s no way we could leave the Bay of Islands completely off our hidden kayaking gems list. 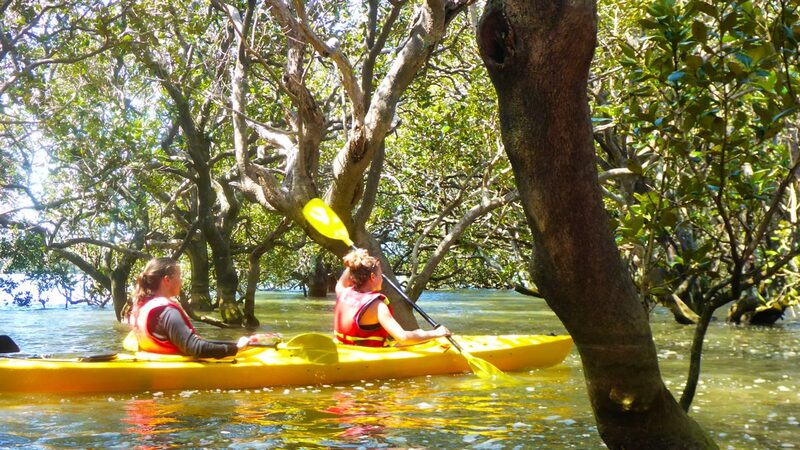 For something just off the beaten track that a lot of people miss, though, we highly recommend taking the chance to kayak through Paihia’s magnificent mangrove forests instead of (or as well as) the beaches, coves, waterfalls and lagoons the Bay of Islands has to offer. Mangroves are a crucial part of New Zealand’s native ecosystem, not only linking land and sea to the human eye, but also providing vital resources and living conditions for the flora and fauna inhabiting this beautiful part of the world. 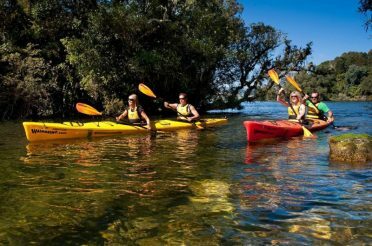 Inquire about kayaking through the mangrove forests at Bay of Islands Cruise & Kayak in Paihia, who also offer amazing twilight and even night-time kayak tours.